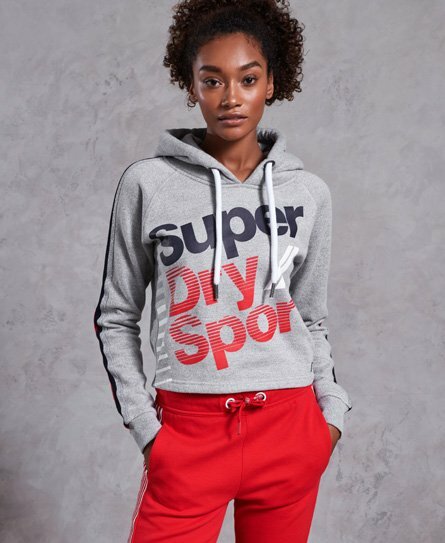 Superdry women’s diagonal Speed sport cropped hoodie. This cropped overhead hoodie features a drawcord adjustable hood, ribbed cuffs and a diagonal Superdry logo across the chest. The diagonal Speed sport cropped hoodie is finished with a stripe design down the sleeved and a Superdry logo patch just above the hem.